What we have experienced here in Houston has been devastating. It will most likely take weeks, months, and even years to fully recover from the destruction that Harvey unleashed. Here at Backseat Flier, we are proud to call Houston our home. This storm has affected our family and friends, and we want to do everything we can to help and give back to this great community. United has set up a donation page for anyone to donate. You can donate here and chose organization you want to donate to. Thank you for everyone's thoughts and prayers. Houston will come back stronger from this storm. We are proud. We are resilient. 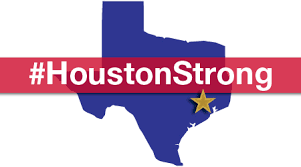 We are Houston Strong. April 12, 2017 - I woke up to the same news most Americans did. Dr. Dao was dragged off of a United Express flight from Chicago to Louisville and public outrage ensued. I didn't feel the same outrage. I believed there was more to the story than a 30 second video. Regardless, the damage was done and United's PR team did an awful job containing it. April 19, 2017 - United expands Basic Economy to nearly all non-stop domestic flights. Pete's outrage ensues. Basic Economy affects every leisure traveler that purchases a ticket to fly on United. 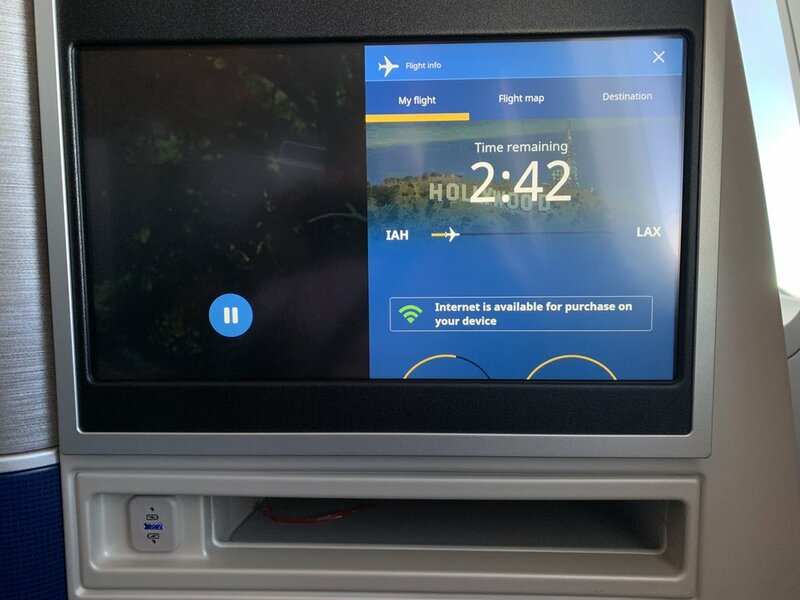 All of the domestic legacy airlines have begun offering basic economy fares, but none are as restrictive and widely available as United's offering. Generally for a $20 to $40 up charge per leg, you can purchase a regular economy ticket, bring a carry-on bag, and choose a seat. All things you could do for free before the basic economy roll out. United advertised this "enhancement" as a way to lower fares and better compete with ultra low cost carriers. That sounds like a great thing for consumers, if it were true. In practice, United introduced a $20-$40 fare increase across the board. Anecdotally, on April 18th I had purchased a ticket, overnight that same ticket had increased by $40 ($20 each way). I am Premier Silver with United, I've been Premier since about a month after I aged out of employee pass travel with the airline. I certainly value the EconomyPlus perk and access to the Premier desk when travel doesn't go as planned. Save for one or two expensive tickets each year paid for by my employer, I hit premier status on my own dime. Basic Economy has caused me to re-think where I take my business, but living in Houston means United is generally the most convenient airline to fly. The map below shows my travel pattern on United the last 18 months that I've been solely revenue passenger. Consistently, over the past year my most popular destinations over have been Cincinnati, Chicago, and Mexico City. Non-stops out of Houston to Mexico City include Southwest, Aeromexico, Interjet, and United. Non-stops of Houston to Chicago include American, United, and Southwest, and United offers the only non-stops to Cincinnati. At the moment I'm sitting at 24,800 PQMs, and $2,159 PQDs. I have no upcoming travel booked, but would say one or two more leisure trips and one more business trip this year are fairly likely. The question is, do I pay more and go out of my way to book on United? For personal travel, if Southwest is cheaper and as convenient should I book on Southwest? For business travel, my company has contract with American meaning I can select Main Cabin Extra at the time of booking, that's better than being Premier Silver with United. Outside of my history and emotional tie with United, I don't know if it's worth it. I don't feel that United values me as a customer. Should my strategy going forward be to book whoever is cheapest and credit American miles to Alaska, Delta miles to FlyingBlue, and build my Rapid Rewards account? 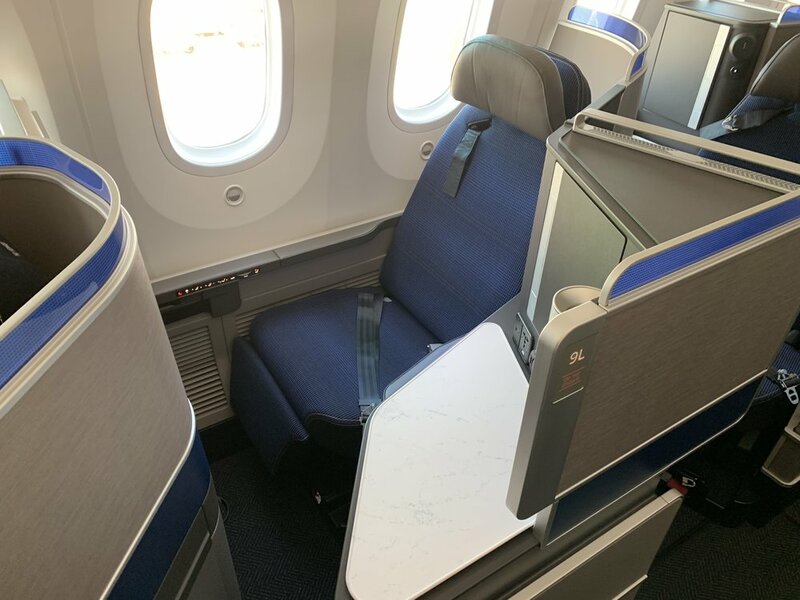 Use my miles to book premium cabin awards for long international flights, use my credit card perks strategically to have lounge access in most cities I travel to. I haven't quite formulated my answer, and all the United would likely get most of business purely based on their schedule, price, and my emotional bias. But is all of that worth me skipping out on $400 Europe fares on KL and AF, because I need to save my travel dollars for UA travel. Probably not? 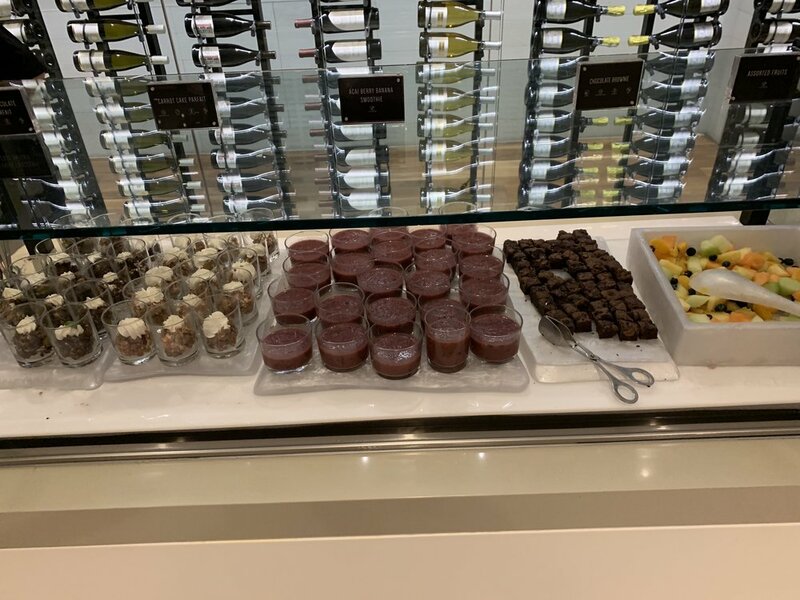 Last Thursday I found myself on the way to Chicago, and coinciding with Josh's post about the new Terminal C - North United Club, I decided I should post a review of the Centurion Lounge at IAH. My flight left at 1:45 and I arrived at Terminal E at about 11:30 to ensure I had ample time to enjoy the lounge. For those with PreCheck wanting to head to the lounge, I advise going through the Terminal E checkpoint and taking a left after you get through security to get to the lounge (at the time of this post, there is no PreCheck line in Terminal D). The lounge is a bit tricky to find your first time. The lounge is located on the mezzanine floor below the departures level in Terminal D, but above the ticket counters/security checkpoint. There are elevators to the Centurion Lounge level behind the Duty Free Store by Gate D7. 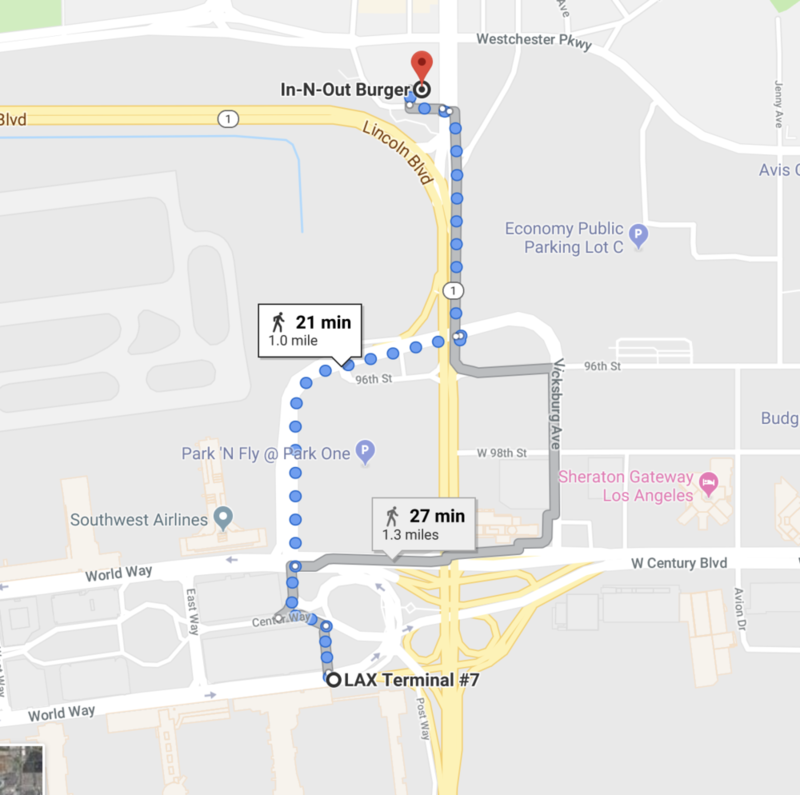 The lounge is not extremely large, but because its not located in a terminal typically used by United, I find that is consistently the least busy Centurion Lounge I've visited. My first stop on this trip was the bar area where I enjoyed several glasses of Rosé. The service on this day was on point. I didn't have to get up from my table to order a single drink. Perhaps I'm used to United Clubs, but that level of service at a domestic US lounge was very impressive. here were also some house made potato chips as a bar snack. The food is served buffet style and includes a braised shredded beef that’s absolutely amazing, along with corn on the cob, a delicious lentil and eggplant side, quinoa, and summer squash. Also, I can't recommend the Black Pepper Panna Cotta enough. Chef Justin Yu, formerly of Houston's Oxheart restaurant, is the curator of the hot food menu items at the lounge. 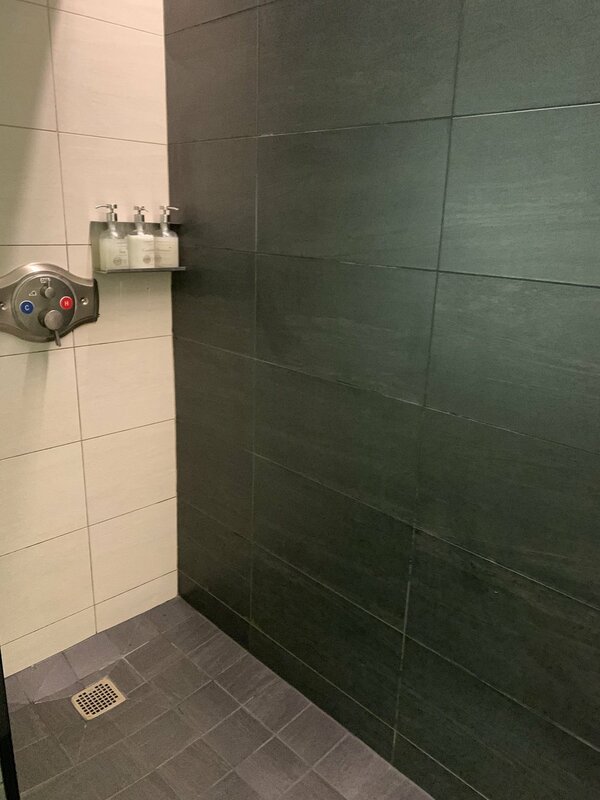 The bathroom toiletries are L’Occitane en Provence as is typical throughout the Centurion Lounges. All in all, this lounge is offers ample seating, hot food options, and a full bar. It is the best lounge at IAH and if you have access to it, I highly recommend dropping by. The lounge's location in Terminal D makes it a bit inconvenient, but all of the terminals at IAH are connected air-side. 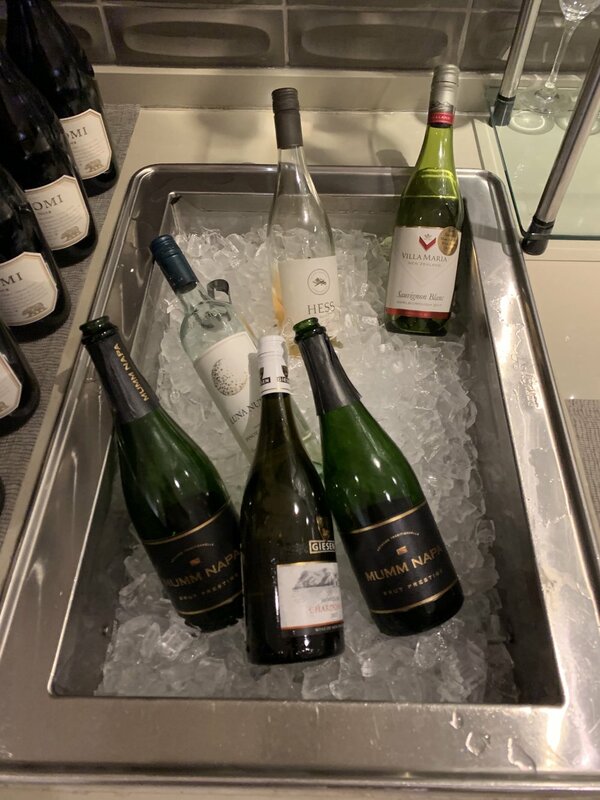 Let us know what you think of the Centurion Lounge at IAH and how it compares to others in the Centurion Lounge system. The new United Club in Terminal C North opened earlier this week and Backseat Flier wanted to be one of the first people to review lounge. Before I go to New York for business, I wanted to swing by the newly renovated United Club in C North. I arrived at the airport a couple of hours before my 12:50 pm departure to New York, NY, I breezed through TSA PreCheck and made my way over to the recently renovated United Club in Terminal C.
When I walked into the lounge, I was greeted by the modern style that United has been rolling out across their clubs. The sleek style has been a breath of fresh air since United revealed it a few years back. First thing I wanted to do was grab a quick bit to eat and enjoy a glass of wine at the beautiful bar. However, much to my dismay, the club can’t serve alcohol before noon on Sundays. Didn’t matter, the club has the new Coca-Cola soda fountain so I could enjoy as much sparking water as my heart desires. I grabbed some water and looked at the food offering the club had for the lunch hour on a busy Sunday travel day. I was disappointed they only had salads and some kind of soup that didn’t look appealing at all. C’Mon United! The Centurion lounge has hot food offerings right down the hall in Terminal D! I bypassed the food and found a great seat that overlooked the tarmac and runway 8R and watched aircraft land for a few minutes before I had to leave for my gate. The club has USB ports and plugs pretty much at every seat. It’s nice to not worry about hunting down an electrical socket and fighting other people to charge up your phone! I left the lounge earlier than I originally planned on because of the lack of food options at the new lounge. Fortunately, IAH has plenty of food options in Terminal C, even in the older south terminal. All in all I found the new club relaxing, quiet, and clean. The renovations have brought a sleek modern look to what was the old President’s Club, and the improvements United is making to their lounges are notable. Overall, this lounge lacked any “wow” factor like the food at London-Heathrow, or the patio at Los Angeles, but the lounge is a relaxing place to recharge during a long layover. If you don’t have access to the Centurion Lounge, I would recommend this United Club over the others at IAH.